*Looking for info on our Upcoming Classes? Find them here! Want to have a picnic BY the bees while you learn to plant a picnic FOR the bees? 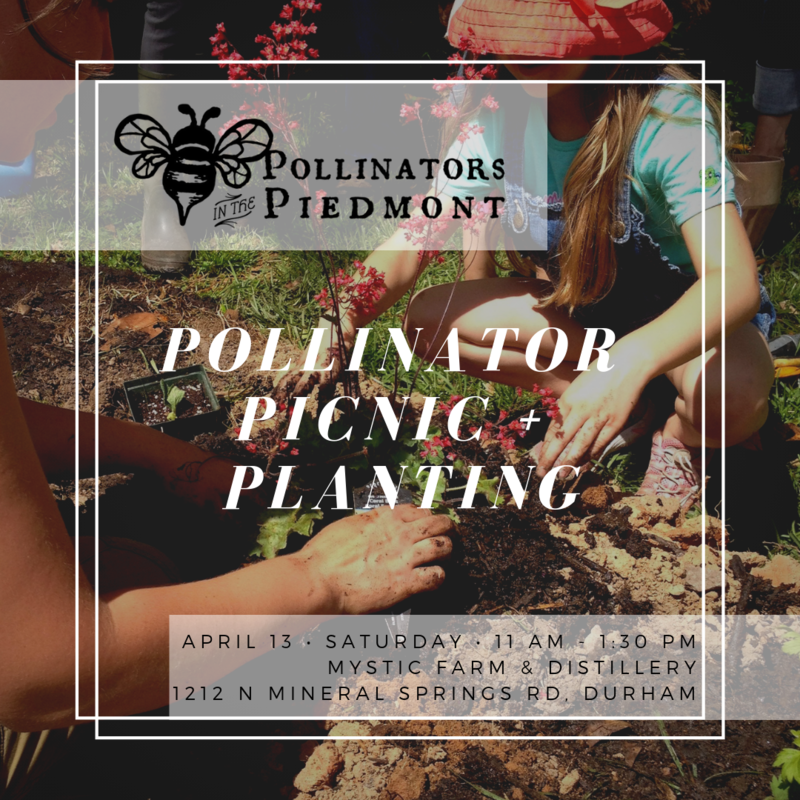 Learn how to grow pollinator-friendly plants while helping to install a pollinator habitat at Mystic Farm & Distillery! Sample from a pollinator picnic where you can taste drinks and treats made from honey and flowers along with samples of Mystic spirits! RESERVE YOUR FREE SPOT HERE. 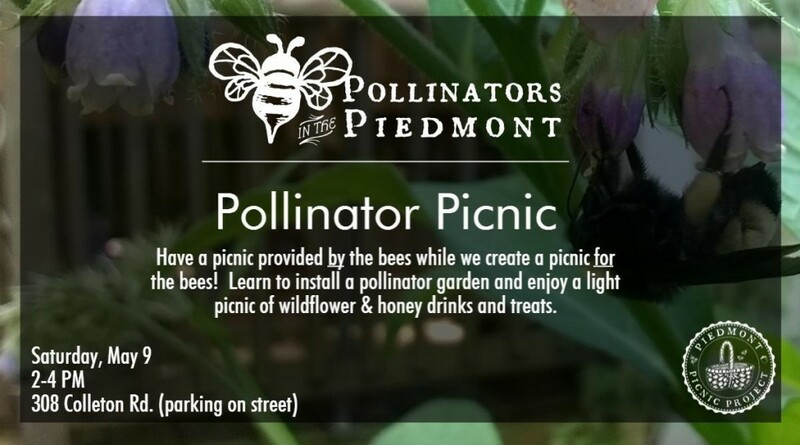 Join the local-food educators from Piedmont Picnic Project and the bee-loving expert of Apiopolis at Mystic Farm & Distillery for this two-hour hands-on pollinator gardening workshop and picnic — great for folks looking to learn new gardening skills, learn more about pollinator-friendly practices, or just taste and learn about food and drink you can make with honey and wildflowers! As we get our hands dirty and taste these goodies, we’ll also learn more about the history of bees & beekeeping and their importance in our world today. New knowledge and hands-on skills to grow pollinator plants along with seeds for pollinator-friendly plants to get you started at home. 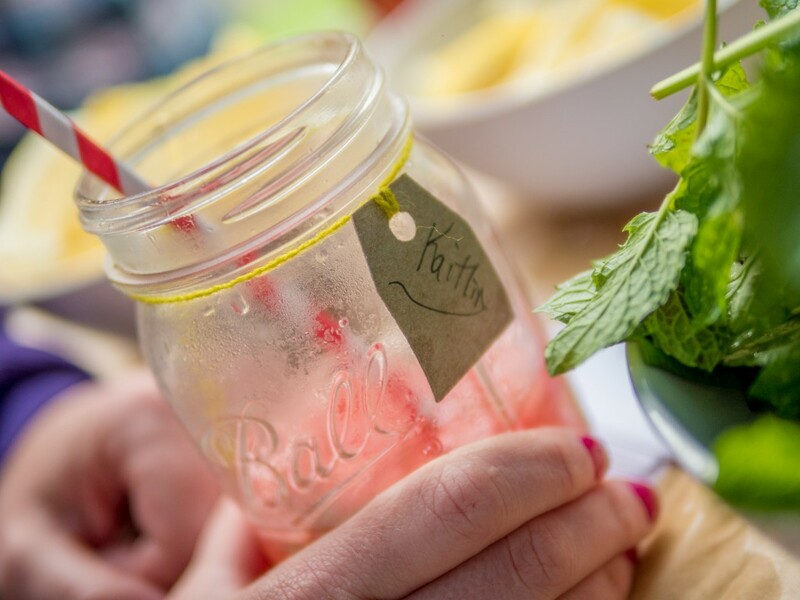 New experiences of food and drink made with honey and wildflowers (and spirits!) as well as recipes for you to replicate the same treats on your own. We believe you’ll enjoy your food more if you know the story behind it! Here’s how we’ll each help you do that. 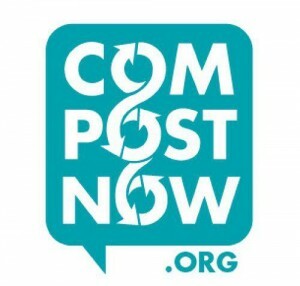 This workshop is the third in a four-part series of Foragable Durham events and workshops at Mystic Farm & Distillery designed to teach important skills that connect you more with your local food community and environment! Foragable Durham is a part of the Foragable Communities initiative. 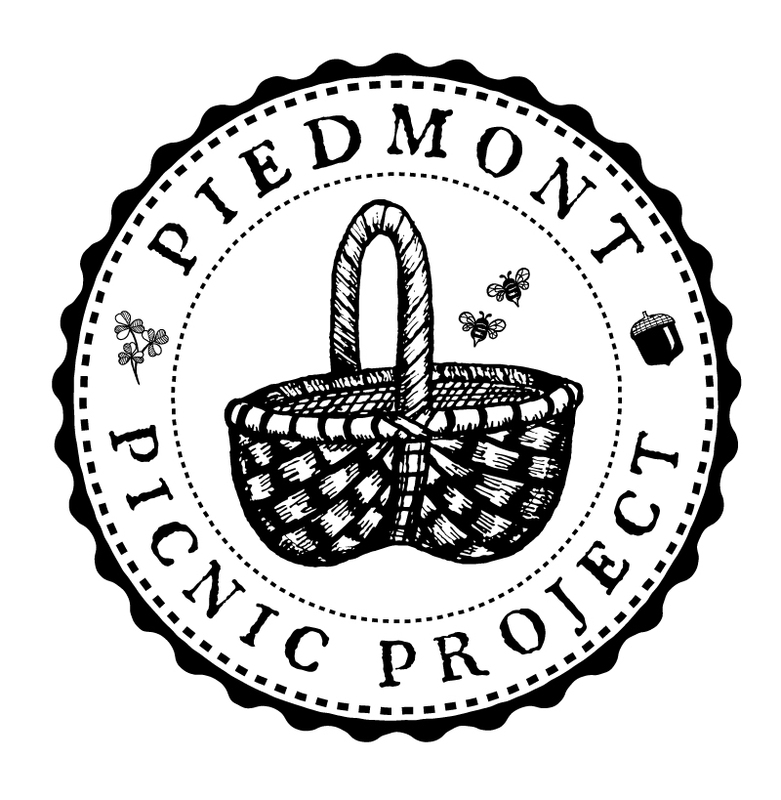 Piedmont Picnic Project seeks to connect people to their food through hands-on programming that builds skills and builds community. Learn how to produce your favorite food and drink while at the same time being rooted in the relevant history behind our local food traditions, people, and place. Apiopolis is a non-profit urban bee sanctuary in Raleigh. Their mission is to improve the health and habitat of honeybees and native pollinators, and to form dynamic collaborations that promote the well being of our entire community in a holistic, inclusive, and joyful manner. Mystic Farm & Distillery is located in the heart of the Research Triangle on a 22-acre site. 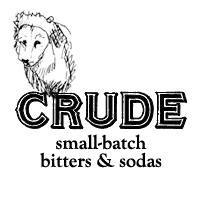 They transform local grains and botanicals into finely crafted spirits, including bourbon liqueur, bourbon, and gin. Note: This workshop takes place rain or shine. Weather-permitting, we will be outdoors working in the soil. Please dress comfortably for the weather and ready to get your hands dirty. Was there a time when the end of fall meant sitting around the fire with your family and friends… chatting, telling stories, or listening to someone play music… sipping a hot drink… while you cracked and picked the nuts you gathered all fall long… looking forward to preparing decadent treats with them for the holiday season? We will recreate that time here in downtown Raleigh! 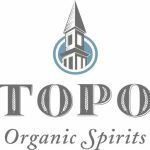 +Make-your-own hot spiked cider bar with wild foraged add-ins and local spirits by TOPO Organic Spirits and Fair Game Beverage Co.
>>>**NEW this year! Purchase a “VIP Bottomless Mug Ticket” for free refills at the bar and a branded campfire mug! +Crack and roast wild foraged nuts around the fire. 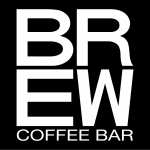 +Live, fireside music by local musicians. +Market tables with local baked goods and crafts for sale. Click here if you are a local vendor who is interested. +Make your own historic decorations for our Christmas tree. Raleigh City Farm will also have their Christmas Tree Lot open for tree sales from High Country Firs during this time, so you can purchase a sustainably-grown Christmas tree while you’re there! 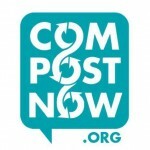 Special thanks to CompostNow for collecting all of our compostable cider cups and nut shells! Click here if you are interested in sponsorship. Teams pick blackberries along Raleigh greenways and then bring their berry haul to be weighed in to see who has the most berry poundage! 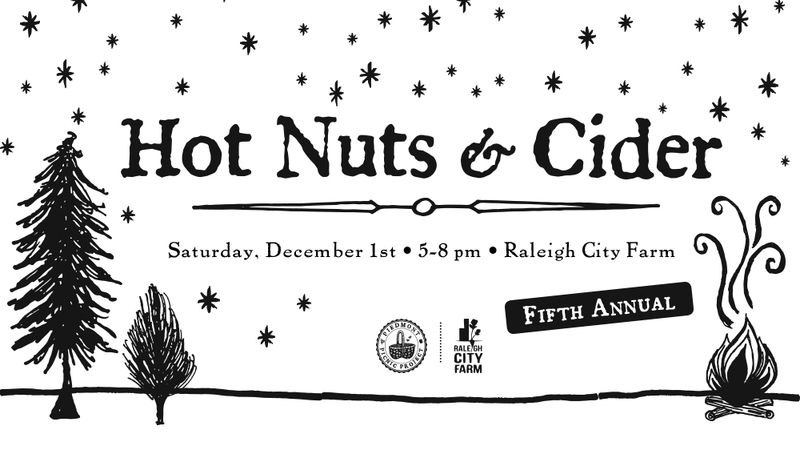 Winners win prizes, and berries get sold to local chefs to raise money for Raleigh City Farm! WHEN: Saturday, July 14. You can pick all morning, but Weigh-In is from 11 AM – 12 PM. WHO: You! And your team of 1-5 people. WHERE: Pick berries all around town (we’ll provide you with a map of berry hot spots!). 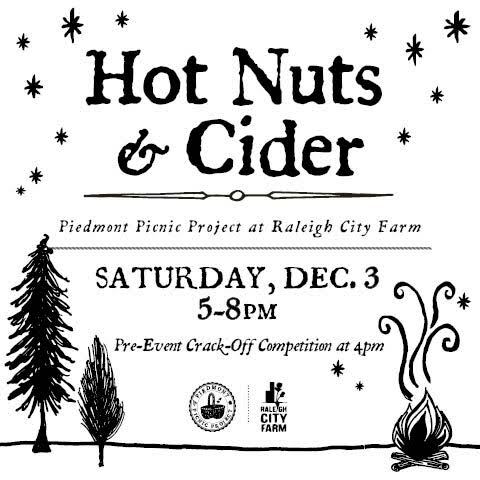 Weigh-In and food and drink for sale at Raleigh City Farm (800 N Blount St, Raleigh). HOW: Register your team online ahead of time. 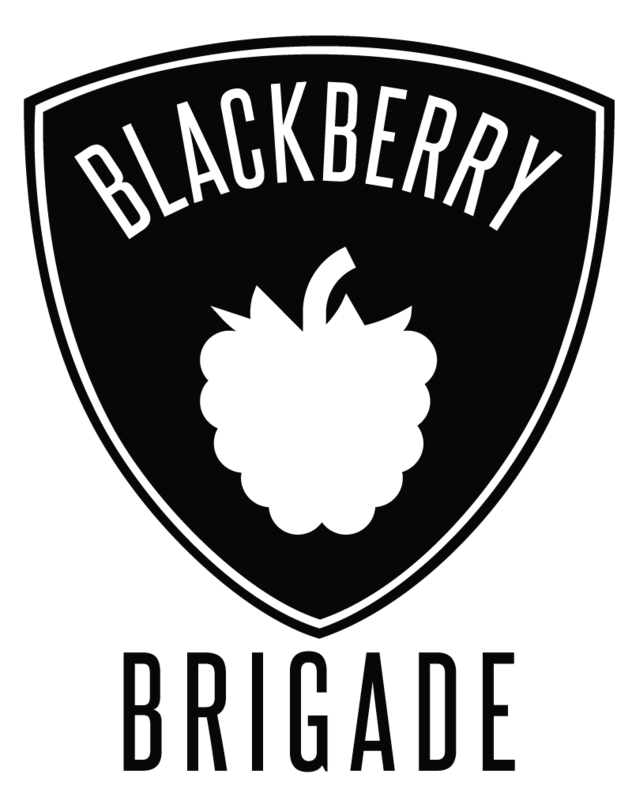 You can also choose to include official blackberry brigade t-shirts for you and your team members with your registration! The Picking. Teams pick blackberries along Raleigh greenways throughout the day (don’t worry, we’ll email you a map of berry hot spots 24 hours before the brigade). The Weigh-In. Teams then bring their berry haul to Raleigh City Farm to be weighed in to see who has the most berry poundage! Weigh-in deadline is 12 PM. The Prizes. The winning team and runners up will receive some fantastic prizes from Deco Raleigh, Larry’s Coffee, Oak City Cycling, and more! Prizes will be awarded starting at 12:15 PM. The Cause. You can choose to keep your berries OR –better yet- donate them and package them to be sold to local chefs, with all proceeds going to Raleigh City Farm! Food & Drink. Food and drink for sale during Weigh-In to support Raleigh City Farm! More details coming soon! Thank you to our prize sponsors below! Join us at Historic Oakwood Cemetery for a Wild History Foraging Walk + Wild Food Tasting. 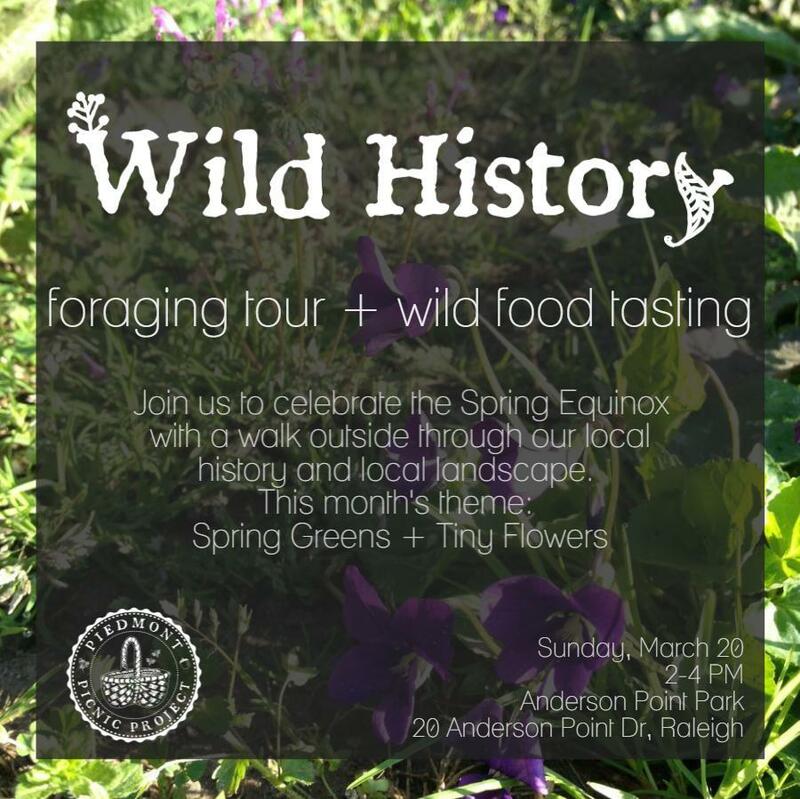 We’ll learn more about edible wild plants that grow even in the winter environment in North Carolina, hear stories about local Raleigh history related to the cemetery’s residents, and then taste dishes made from the same plants we learn about that day! The picnic will include pre-foraged plants of the same kind seen on site. We will review foraging guidelines and safety as well as instruction on plant uses and identification. For the light picnic you can expect wild tea, local bread, wild preserves and pickles, and a wild treat for dessert! Pre registration is required. To register sign up here. Registrants will receive a confirmation detail with additional information. 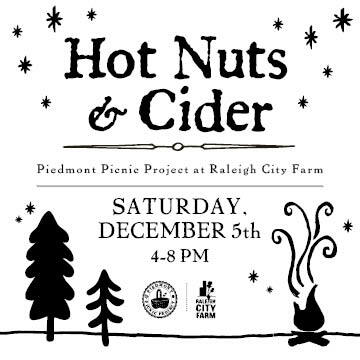 +Make-your-own hot spiked cider bar with wild foraged add-ins and local spirits from TOPO distillery and Fair Game Beverage Co.
+Live, fireside music by the Chatham Rabbits and Dwight Hawkins. +Market tables with local baked goods and crafts for sale, including Yellow Dog Bread Co and more. Special thanks to our Partners & Sponsors. 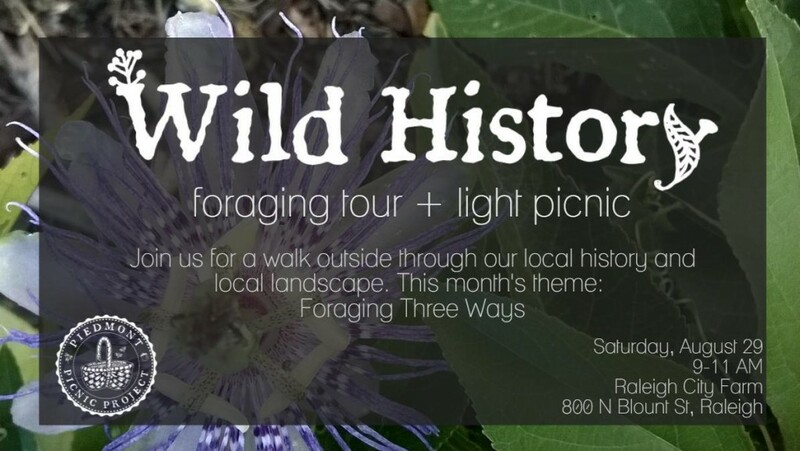 Our Wild History Foraging Walk + Wild Food Tasting at Prairie Ridge Ecostation is SOLD OUT! 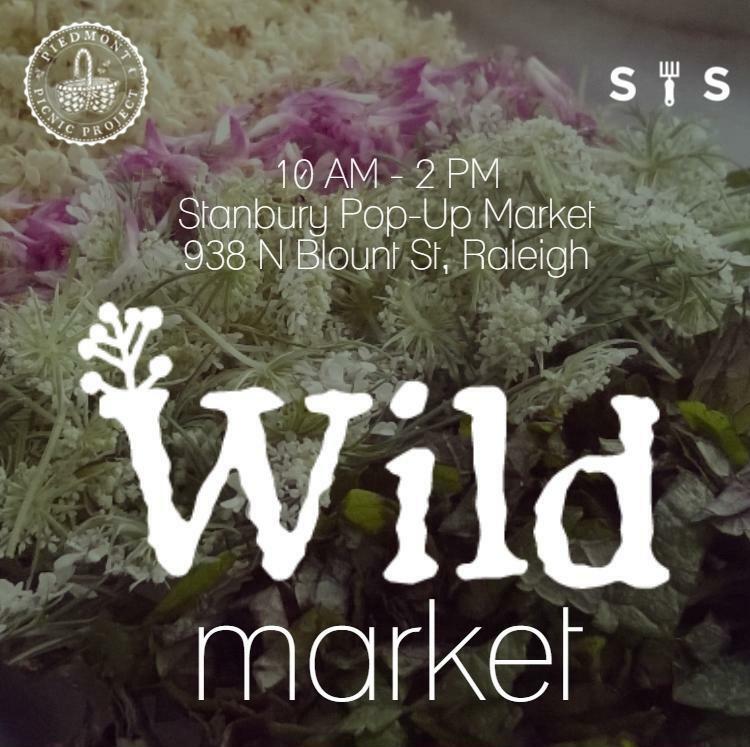 We’ll learn more about edible wild plants that grow in a prairie environment in North Carolina, hear stories about local Raleigh history related to the prairie, and then taste dishes made from the same plants we learn about that day! The picnic will include pre-foraged plants of the same kind seen on site, but no plants will be foraged directly from the ecostation. We will review foraging guidelines and safety as well as instruction on plant uses and identification. For the light picnic you can expect wild tea, local bread, wild jams, jellies, and pickles, wild greens, and a wild treat for dessert! Thanks to everyone who registered for this Dark & Delicious event with REI — we are SOLD OUT! Join us with REI at TLC’s Brumley Forest for a Dark & Delicious night hike with an introduction to wild edible plants. 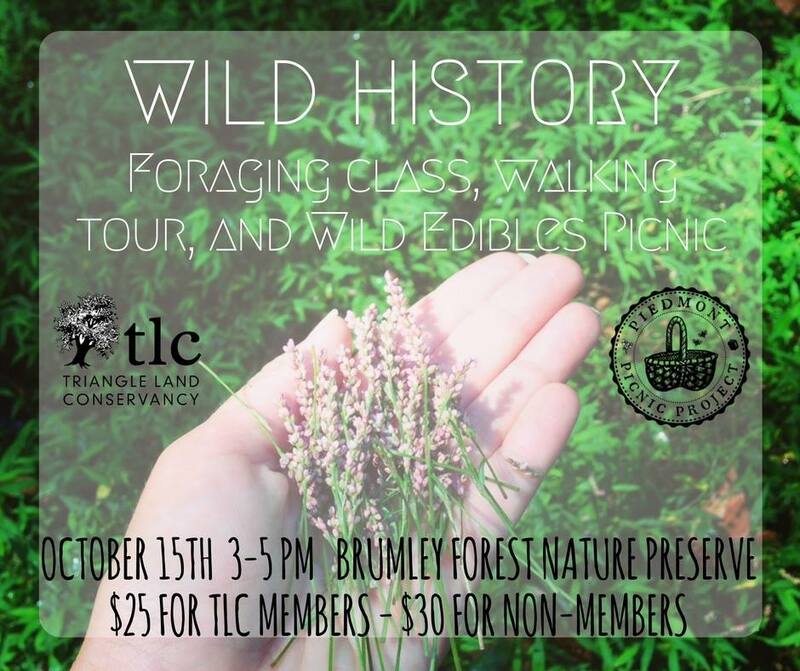 We’ll hike 2 to 3 miles into Brumley Forest learning edible wild plants along the way as well as some of the history of the location. When we arrive at our destination, we’ll set up a cook camp and explore ways to use foraged foods to dress up and add interest to the usual camping or backpacking fare. REI Outdoor School instructors will teach you how to build a safe, efficient camp kitchen, and prep food at home for the best possible on-trail experience. Then we will prepare and cook shared meals on a variety of stoves. All stoves, kitchen materials, and food ingredients provided, with options for vegetarians and meat eaters alike. The evening will conclude with breaking down camp and short hike back out of the property. Over two weekends, we have an exciting opportunity to inspire the creation of four new brews from four different breweries across the Triangle area — and you can help! 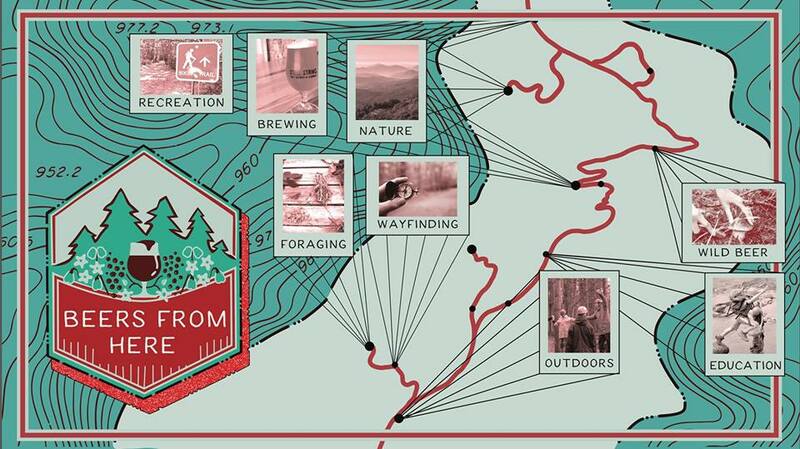 Piedmont Picnic is leading foraging walks for the upcoming Beers from Here series at various Triangle Land Conservancy Properties. We’ll point out wild edible ingredients that will be used to inspire three beers and a cider to be made to raise money for the work of Triangle Land Conservancy. All walks are free and open to the public, but you do need to pre-register through TLC’s events website here. This is a great chance to shape a brew from one of your favorite local brewers and to learn more about wild edibles along the way! When it’s summertime, and all you want to do is lay in water sipping a cold drink, we’ve got the perfect afternoon for you! WHO: You! and all of your lazy-river floating, ice-cream slurping friends! ✔ ICE CREAM FLOATS – Piedmont Picnic will provide DIY ice cream fixins and a wild soda bar at the launch point to get you started with an ice cream float to sip along the way. ✔FLOATS + BOATS – You can choose to BYO Float (bring along an inner tube like this one!) or to purchase a ticket that includes the rental of a kayak or canoe. ✔ TRANSPORTATION – How do you get to the launch site and back to your car? We’ll meet at the endpoint and leave our cars there. Paddle Creek will provide transport vans to take us up to the launch site. You’ll end the float back at your car! ✔ THE RIVER. You’ll float down 3 miles of the Neuse River, ending back at your vehicle. This could take anywhere from 1.5 to 3 hours depending on just how lazy the river is that day (i.e., the water level). ✔ MUSIC – Along the way we’ll have the Neuse’s first floating DJ – DJ Root Boi – for you to listen to for maximum summertime feels while you make your way down river. ✔ PRIZES + #NCWATERLOVE – We’ll be celebrating one of Raleigh’s (and North Carolina’s) greatest resources along the way — the Neuse River! Triangle Land Conservancy will help us celebrate this waterway with a photo scavenger hunt – snap photos from their list, tag them, and win prizes! A portion of all proceeds will go to Triangle Land Conservancy to support the important work they do to protect our area land and watersheds. >>TICKET OPTION #1 – FLOAT MY BOAT: includes event ticket, complimentary ice cream float, transportation to launch point, and ONE BOAT RENTAL of your choice (canoe, single kayak, or tandem kayak). >>TICKET OPTION #2 – BYO FLOAT: includes event ticket, complimentary ice cream float, and transportation to launch point, but you’ll BRING YOUR OWN FLOAT to ride down the river. Click one of the fun float options below to buy online! 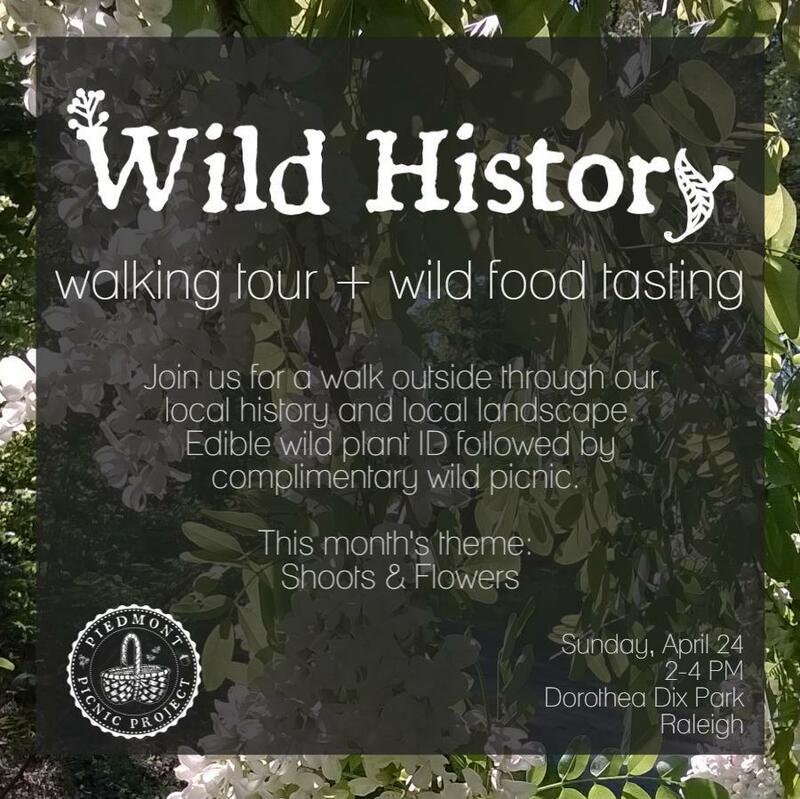 We’ll learn more about edible wild plants growing along downtown Raleigh streets, hear stories about Raleigh’s local history along our trail, and then taste dishes made from the same plants! Class begins in the Naturalist Center at the NC Museum of Natural Sciences, from there we will explore the wild places in the surrounding downtown area, and then end at a nearby park for a wild foods tasting. We will review foraging guidelines and safety as well as instruction on plant uses and identification. For the light picnic you can expect wild tea, local bread, wild jams, jellies, and pickles, wild greens, and a wild treat for dessert! 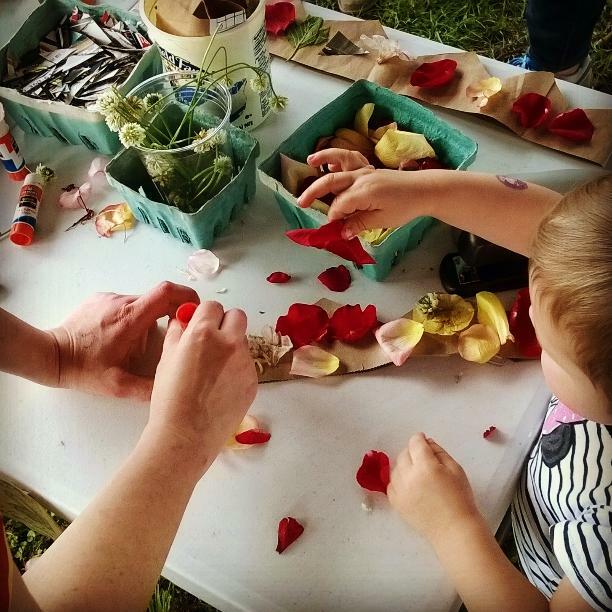 Join us for flower crowns, newspaper seed pot making, and mini Wild History foraging walks around the block at the annual Raleigh City Farm Bearthday Bazaar! Join us at the Fair Game Beverage Plant in lovely Pittsboro, NC for a very special one-off Easter Brunch with the highly anticipated local seafood restaurant Postal Fish Co. We will be crafting unique wild cocktails with Fair Game Beverage spirits to pair with the meal highlighting spring flavors by Postal Fish Co.
We’ll gather together at the Plant for an afternoon outdoors with cocktails, foraging, fresh local seafood and a celebration of the Spring season. 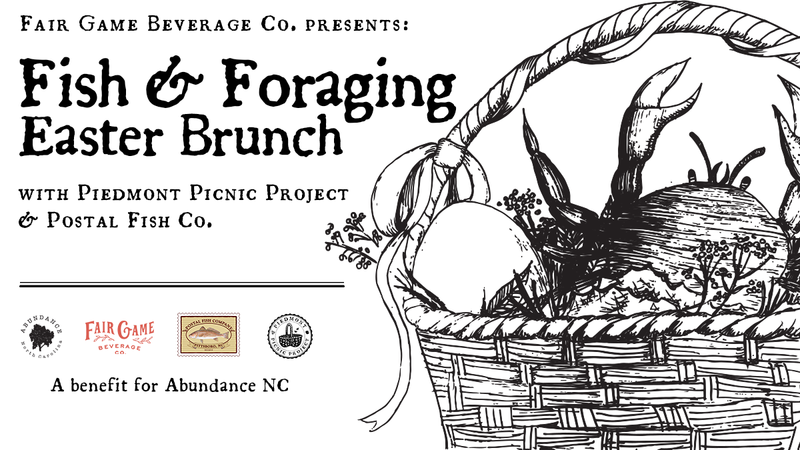 Proceeds from the brunch will benefit Abundance NC’s work promoting local food and sustainability right here in Chatham County. We will begin at noon with a cocktail hour that includes a short foraging walk and discussion, where you will help gather fresh wild greens and flowers for the salad. The meal begins at 1pm, family style, with Chefs James Clark and Bill Hartley preparing an incredible feast that portends downtown Pittsboro’s first sustainable seafood restaurant opening later in 2017, with desserts prepared by pastry chef Marcey Clark. 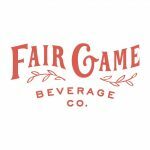 Fair Game Beverage and Piedmont Picnic Project will collaborate on three seasonally inspired cocktails featuring the wine and spirits crafted right next door. Take a walk on the wild side with us and Triangle Land Conservancy! This beginner level foraging class will cover foraging basics (including rules and etiquette) and provide a solid knowledge of a handful of practical Piedmont plants to enjoy incorporating into your table. 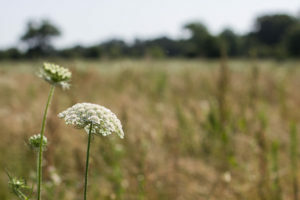 The tour will take place at Walnut Hill in Wake County, closed to the public but abounding with plant diversity and a rich wild history just waiting to be explored. 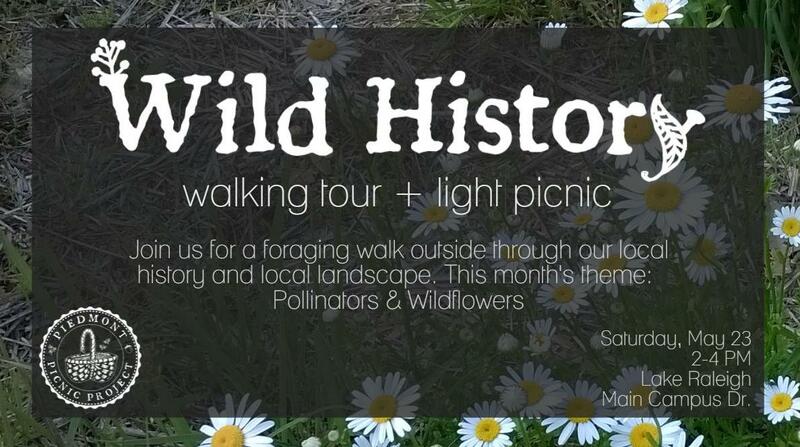 The walk will be followed by a complimentary picnic of foraged and hyper local wild edibles! +Make-your-own hot spiked cider bar with wild foraged add-ins and spirits from Fair Game Beverage Company and others! +Holiday breads and pastries for sale on site by Yellow Dog Bread Company. +Make and take crafts for sale by Ramble Supply Co.
Fall is in full force now, and we couldn’t be happier. 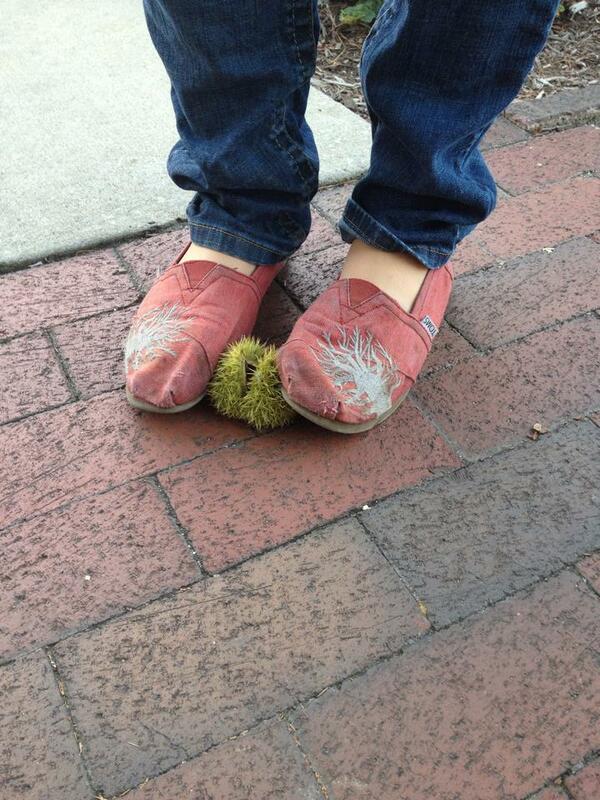 Wild nuts are falling, and cool-weather greens are sprouting up again. Join us to enjoy a beautiful fall setting this Saturday, October 15 at Triangle Land Conservancy’s Brumley Forest. 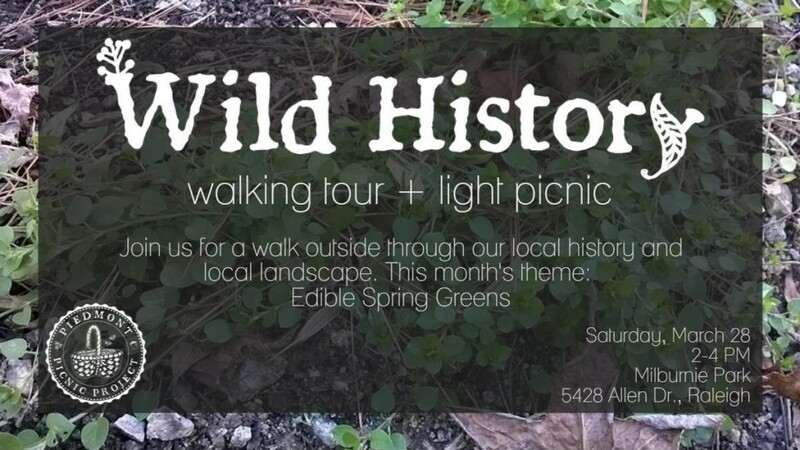 We’re hosting a Wild History Walk to teach you foraging basics, how to identify a list of specific edible plants, and a slew of local history to go along with our very special locale. We’ll conclude with a light picnic that showcases the plants we’ve seen in the forest that day. Share your favorite family dessert and its story! Every dish has a story. What’s your Dishtory? Do you have a favorite dessert that you love to make for your family or friends? How about a dessert you ate growing up that is weird or delicious that you’d love to share? Maybe a dish that generations of your family has made, and you’d love to tell us its story? 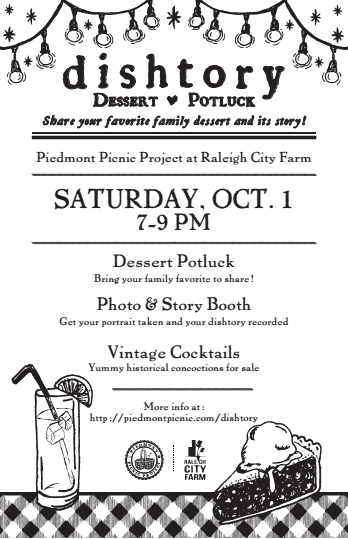 Join us for an evening on the farm to celebrate our best family dessert traditions and record them for posterity! Bring your dish, and we’ll take your portrait with the dish and then (if you want!) we’ll record the story behind the dish in our Dishtory Story Booth. We’ll have vintage inspired cocktails for sale that you can sip while we all sit down to a big dessert potluck with each other on the farm! 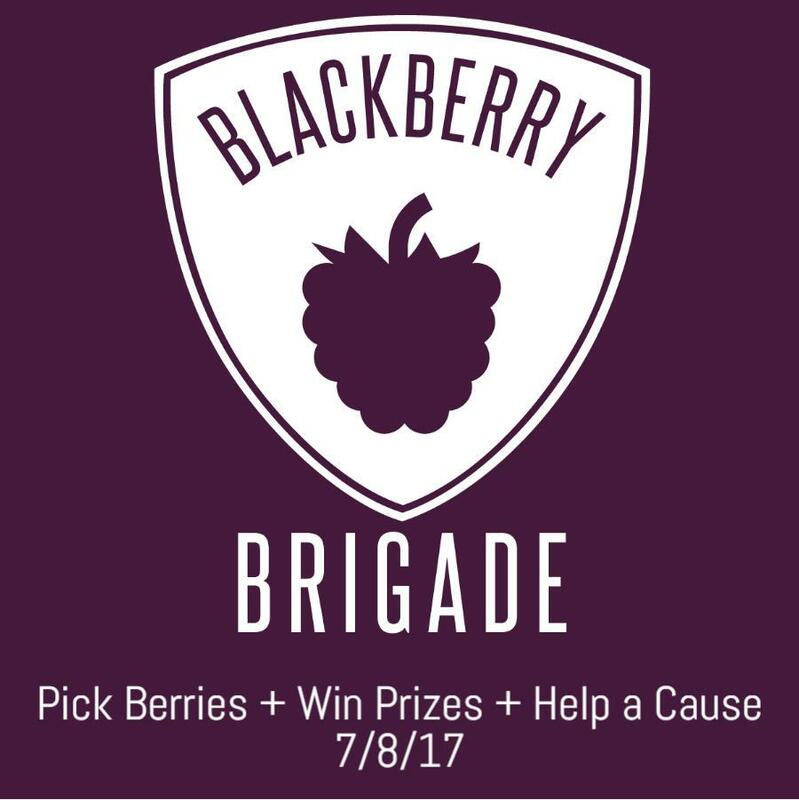 Enter your team in the Blackberry Brigade blackberry picking competition! Teams pick blackberries along Raleigh greenways and then bring their berry haul to be weighed in to see who has the most berry poundage! Winners win prizes, and berries get sold to local chefs to raise money for the Raleigh Food Corridor. Celebrate afterwards with the Second Saturday Jamboree! WHEN: Saturday, July 9. You can pick all morning, but Weigh-In is from 2-4 PM. WHERE: Pick berries all around town (we’ll provide you with a map of berry hot spots!). 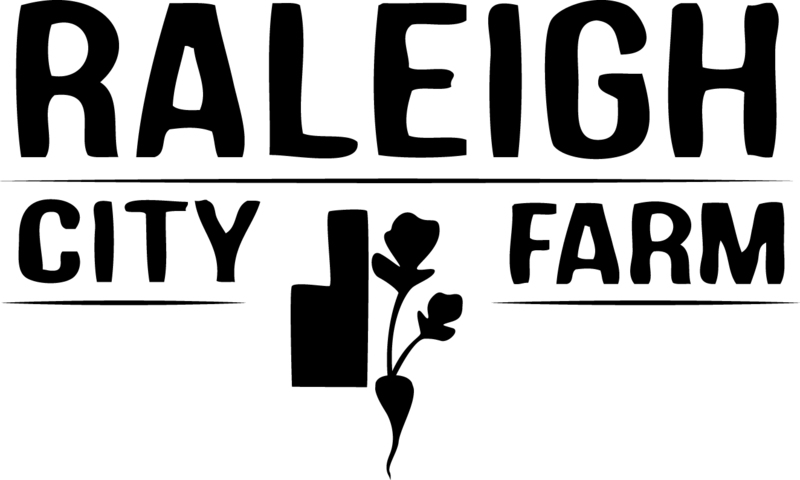 Weigh-In and Jamboree at Raleigh City Farm (800 N Blount St, Raleigh). The Picking. Teams pick blackberries along Raleigh greenways all morning long (don’t worry, we’ll email you a map of berry hot spots 24 hours before the brigade). The Weigh-In. Teams then bring their berry haul to Raleigh City Farm to be weighed in to see who has the most berry poundage! Weigh-in deadline is 4 PM. The Prizes. The winning team and runners up will receive some fantastic prizes! See full list of sponsors below. Prizes will be awarded starting at 4:15 PM. The Cause. You can choose to keep your berries OR –better yet- donate them and package them to be sold to local chefs, with all proceeds going to the Raleigh Food Corridor! The Jamboree. 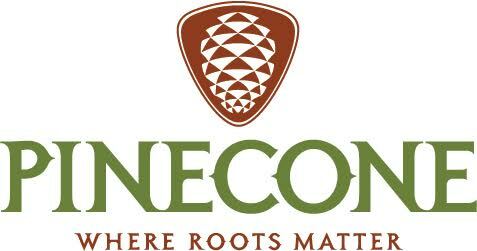 Various berry-themed activities for teams to enjoy will also take place at the weigh-in site from 2 PM on as part of the Second Saturday Jamboree, including a Pine Cone Piedmont Council of Traditional Music Youth Jam and Blackberry art with local artist, Linda Dallas! Special thanks to our prize sponsors for making this event possible! Want to feel more connected to a little piece of your Raleigh landscape? 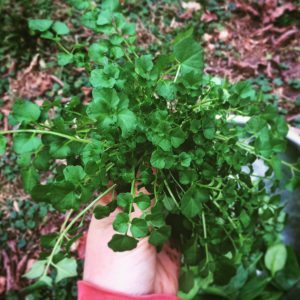 Maybe you’ve been curious about foraging wild edibles in the past, but didn’t know how to get started? Or maybe you’re just a history buff, a foodie, or like taking walks through lovely natural settings! We’ve got the perfect Sunday afternoon activity for any or all of these reasons! 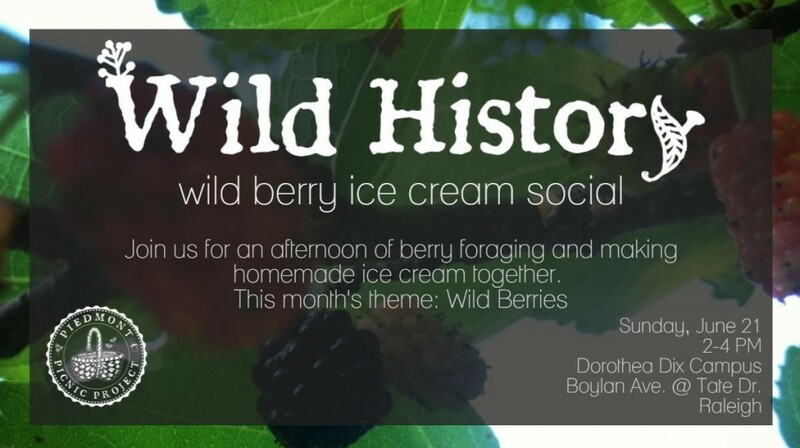 Piedmont Picnic Project will host a Wild History Wild Berry Walk + Ice Cream Social on Sunday, June 26, 2-4 PM. 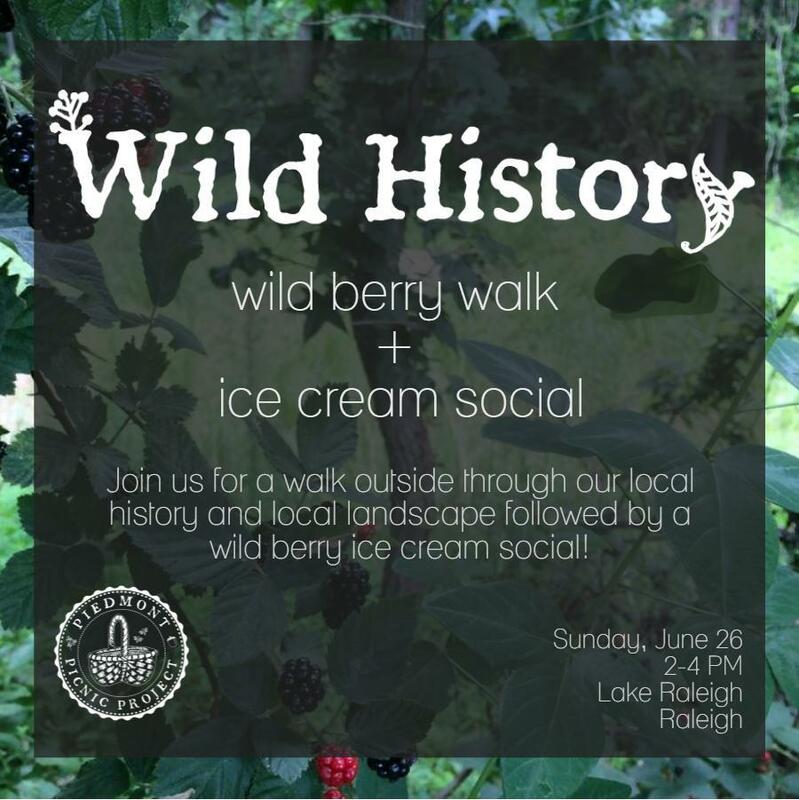 We’ll learn more about edible wild plants growing along a stretch of Raleigh greenway, hear stories about Raleigh’s local history, and then slurp down some wild berry ice cream together! Our walk location is on Lake Raleigh – a lovely natural setting full of interesting historical tidbits and wild delights! +Please arrive 15 minutes before the start of the walk to check in. The walk departs at 2 PM. 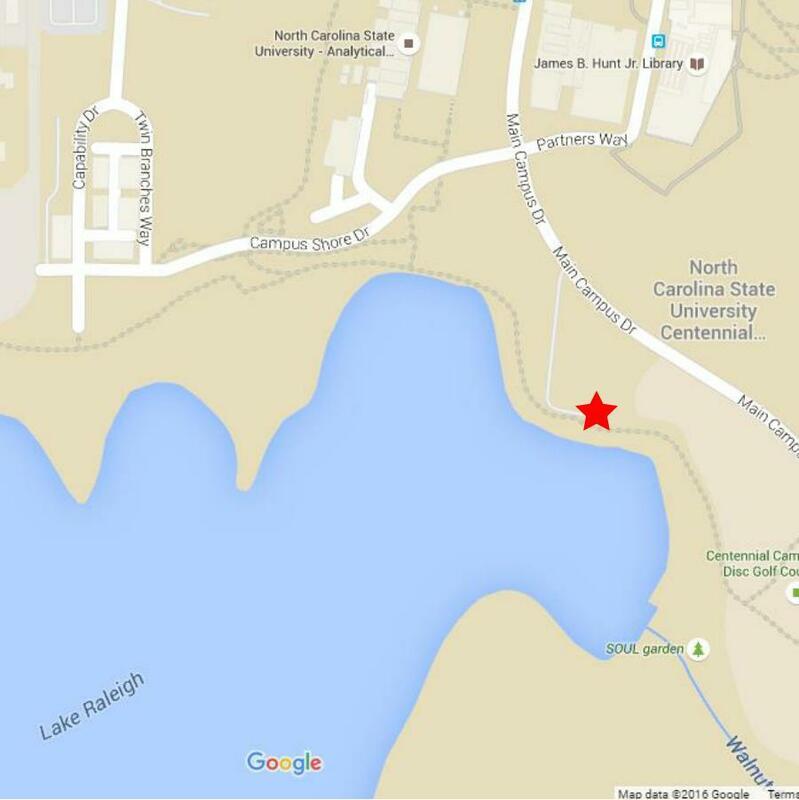 +Parking is available at the Lake Raleigh Fishing Pier at 2298 Main Campus Drive as well as along Main Campus Drive (see red star on map on left). +Please wear appropriate shoes and clothing for walking outdoors [insert weather-specific advice here]. +Your confirmation email serves as your ticket, but no need to bring it along – we’ll have a list of pre-sale ticket holders. +Walks are rain or shine. +Any persons under the age of 18 must be accompanied by an adult. +All participants will be asked to sign a Raleigh Parks and Recreation liability waiver for the event. 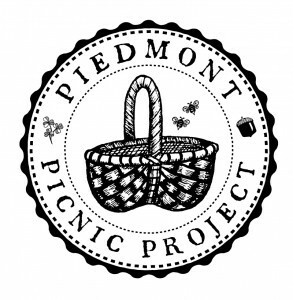 Piedmont Picnic Project will host a Wild History Foraging Walk + Wild Food Tasting on Sunday, May 22, 2-4 PM. We’ll forage edible wild plants together, learn more about the local history, and then taste dishes made from the same plants! Our walk location has been announced! We’ll be exploring one of our favorite stretches of Raleigh greenway along Crabtree Creek. We’ll take you from an urban parking lot, down into a lush meadow tucked away where you’d never expect it – full of wild delights! Be sure to see direction information below. We will review foraging guidelines and safety as well as instruction on plant uses and identification. Along the way, we’ll share history about the local area and this month’s theme: Berries & Blooms. For the light picnic you can expect wild teas, local bread, local cheese, homemade wild jams and jellies, wild greens, and a wild treat for dessert! Piedmont Picnic Project will host a Wild History Foraging Walk + Wild Food Tasting on Sunday, April 24, 2-4 PM. We’ll forage edible wild plants together, learn more about the local history, and then taste dishes made from the same plants! Our walk will take place at lovely Dorothea Dix Park! It’s right in downtown, right along the greenway, and it’s got history and wild edibles galore. We will review foraging guidelines and safety as well as instruction on plant uses and identification. Along the way, we’ll share history about the local area and this month’s theme: Shoots & Flowers. UPDATE: Our March walk is SOLD OUT but please check back for more information about our next walk on April 24! Piedmont Picnic Project will host a Wild History Foraging Walk + Wild Food Tasting to celebrate the Spring Equinox. We’ll forage edible wild plants together, learn more about the local history, and then taste dishes made from the same plants! Our surprise location has been announced! We’ll be meeting at Anderson Point Park (20 Anderson Point Drive) and walking to picnic at a lovely spot along the Neuse River. We will review foraging guidelines and safety as well as instruction on plant uses and identification. Along the way, we’ll share history about the local area and this month’s theme: Spring Greens + Tiny Flowers. Looking for that magic elixir to help you live eternal? Or maybe just a little something to help you be healthier in the New Year? We have a couple of elixirs chock-full of beneficial probiotics that will get you started on your path to health in 2016. 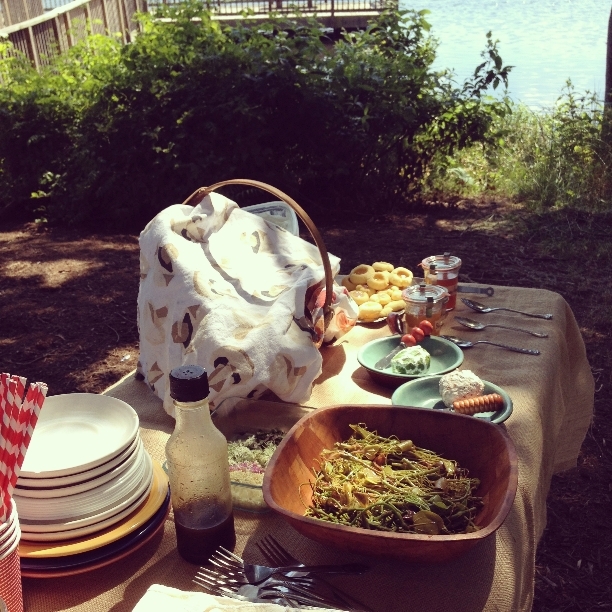 Join Piedmont Picnic Project at Ramble Supply Co for our upcoming workshop on fermented sodas! 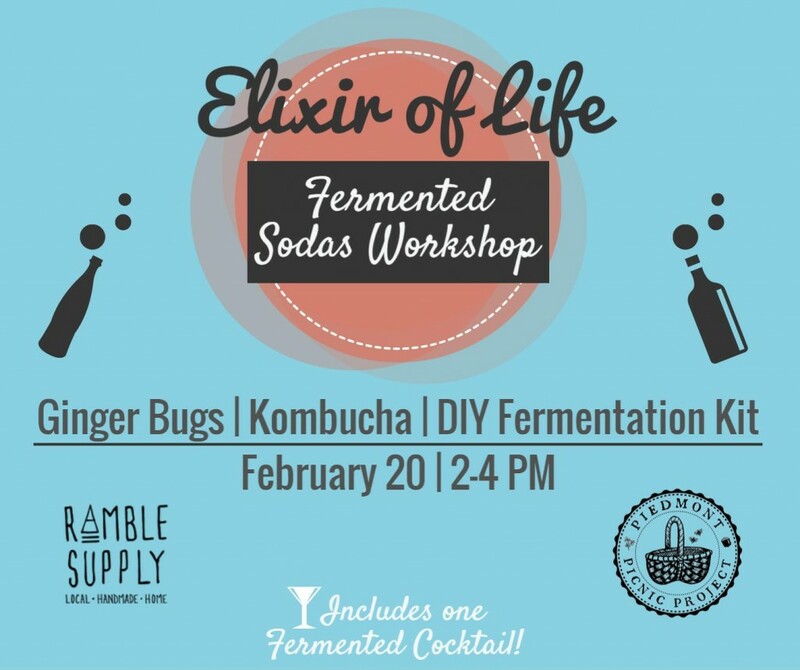 Learn two techniques for fermenting your own sodas at home: (1) fermenting using a kombucha SCOBY which we will provide, and (2) fermenting by growing your own ginger bug. Taste fermented sodas flavored with locally foraged fruit and herbs, including one spiked fermented cocktail! your first batch of tea! Learn a little about the history of fermented drinks and North Carolina sodas + the health benefits of drinking naturally fermented sodas! 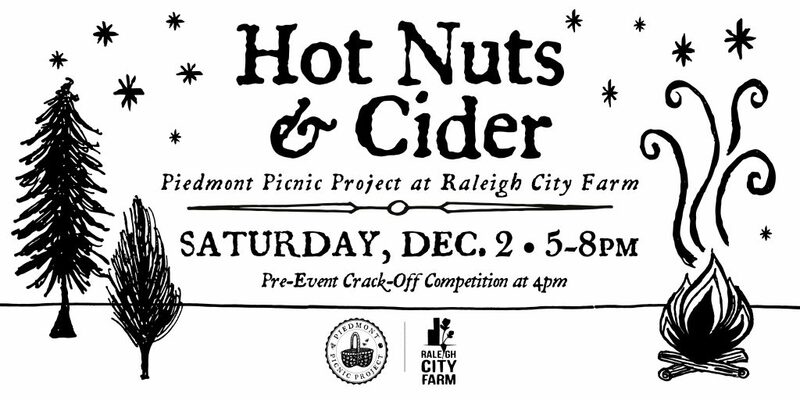 We had a great evening of nut cracking and cider sipping around the fire at Raleigh City Farm! Was there a time when the end of fall meant sitting around the fire with your family and friends… chatting, telling stories, or listening to someone play music… sipping a hot drink… while you cracked and picked the nuts you gathered all fall long… looking forward to preparing decadent treats with them for the holiday season? We recreated that time here in downtown Raleigh! Make-your-own hot spiked cider bar with wild foraged add-ins. Including Fair Game Beverage Co Apple Tipper and No’Lasses Sorghum Rum! Add in cocktail bitters from Crude Bitters & Sodas! Crack and roast wild foraged nuts around the fire. Make your own historic decorations for our Christmas tree and check out a holiday wreath-making station by Hannah Ross, Deana Nguyen, and Wylde Flowers. Fireside music by special guests, The Lang Sisters and Brendan Macie. 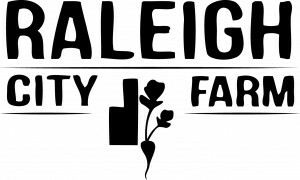 Raleigh City Farm also had their Christmas Tree Lot open for tree sales from High Country Firs during this time, so you could purchase a sustainably-grown Christmas tree while you’re there! 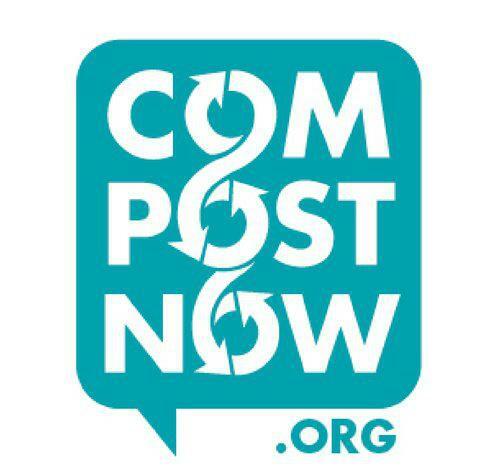 Special thanks to Compost Now for collecting and composting all of our nut shells and compostable cups! THANK YOU TO ALL OF OUR PARTNERS AND SPONSORS! Piedmont Picnic Project and Fair Game Beverage Co present a night of foraging, wild pizzas, and locally-distilled cocktails! 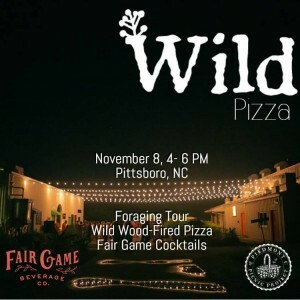 Forage your own Wild Pizza toppings from the expansive wooded and field areas surrounding the Fair Game Distillery, just outside of Pittsboro, NC. Sip cocktails made from Fair Game’s wines and sample their spirits. Make customized, wood-fired wild pizzas with the toppings you foraged that night plus wild pickles and sauces we’ve been stock-piling throughout the year! Eat your wild dinner and sip your cocktail in the picturesque scenery of rural Pittsboro, NC. In celebration of Piedmont Picnic’s first ever event and launch party one year ago – Cocktails & Mayonnaise – we hosted another cocktails and mayonnaise event as our one year anniversary party! What did it involve? See details below and full gallery here. 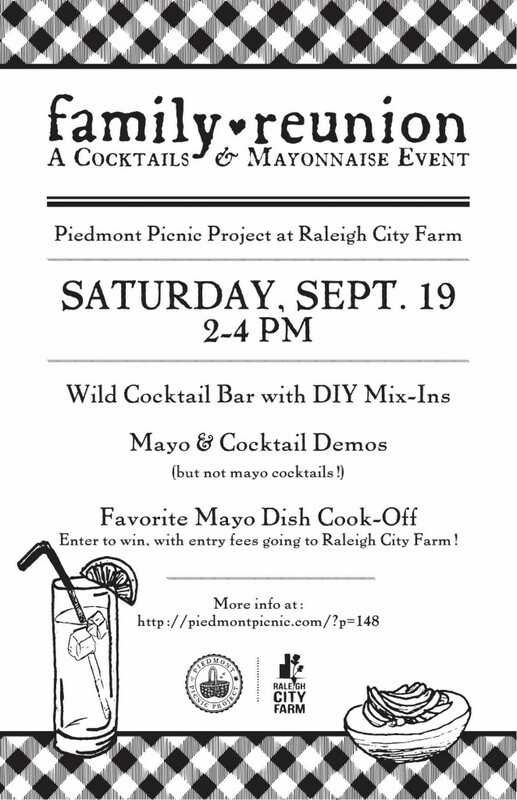 Favorite Mayo Dish Cook-Off – Entry is $10, with all entry fees benefiting Raleigh City Farm! Prizes from Wine Authorities, Brew Coffee Bar, and more! Special musical guest Marshall Wyatt of Old Hat Records and his 100-year-old hand-cranked Victrola will provide the records and the old-time vibes perfect for any Family Reunion! We had a lovely afternoon on the farm, created our own unique foraged cocktails, and chowed down on our neighbors’ best mayo recipes! 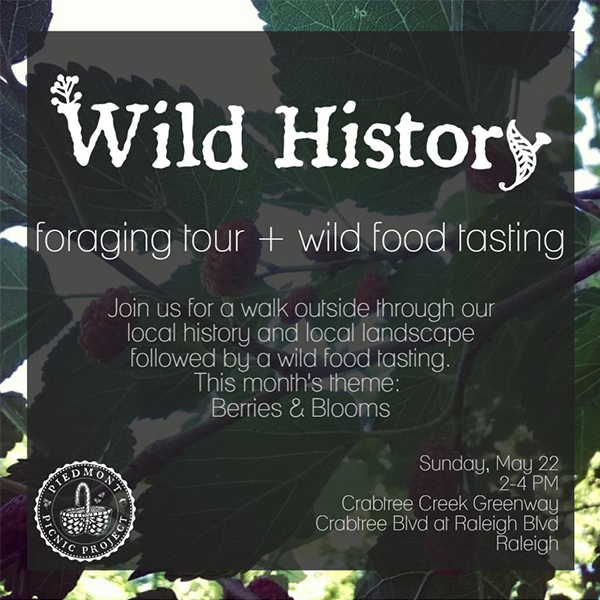 For our August Wild History Foraging Tour + Light Picnic, we foraged edible wild plants together from the area surrounding Raleigh City Farm and then taste dishes made from the same plants! As with all of our introductory foraging walks, we reviewed foraging guidelines and safety as well as instruction on plant uses and identification. Along the way, we shared history about Raleigh and the Mordecai Historic Park and about this month’s theme: Foraging Three Ways. 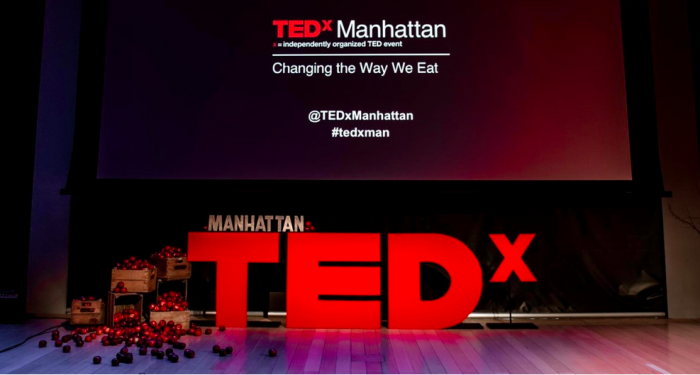 We talked about three ways to forage in the urban environment: (1) finding edible wild plants in public spaces, (2) borrowing excess edible plants from your neighbors, or (3) planting wild foods at home. For the light picnic we enjoyed delicious brunch fare of wild herbed biscuits, wildflower jellies, homemade cheeses, blackberry leaf tea, and cookies and ice cream flavored with black walnut liqueur. See full gallery here. This month’s location – Raleigh City Farm – provided a great example of growing wild edibles in and amongst your other edible and decorative plants! Click here to see the gallery from our first annual Blackberry Brigade berry foraging competition for a cause! Around 20 teams picked blackberries along Raleigh greenways (using a map of berry hot spots we provided!) and then brought their berry haul to be weighed in to see who had the most berry poundage! In the end, competitors weighed in 21 pounds of berries! Teams could choose to keep their berries OR better yet, donate them and package them to be sold to local chefs (see list below), with all proceeds going to the garden at Neighbor to Neighbor Outreach Center in SE Raleigh! Various berry-themed activities for teams to enjoy also took place at the weigh-in site, including: blackberry-themed refreshments provided by local businesses, cooking and preserving demos by Common Roots Project, and blackberry juice juicy hand prints and photo portraits. 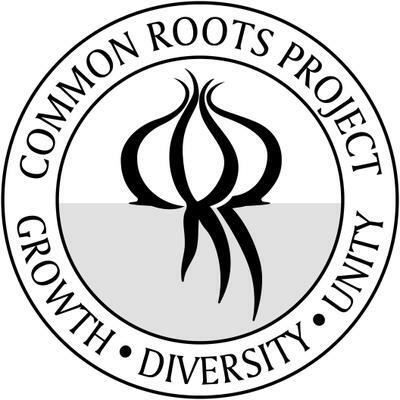 Piedmont Picnic Project is grateful to our partners: Community Food Lab and Second Saturday for co-hosting the day’s events as part of the City of Raleigh’s Art along Blount Street dedication and in conjunction with the Shaw Summer Sizzles concert series! HUGE thanks to local restaurants that purchased our locally-foraged berries from us, with all proceeds going to the garden at Neighbor to Neighbor Outreach Center! Piedmont Picnic Project hosted a Wild History Ice Cream Social + Berry Foraging event where we foraged wild berries along the Rocky Branch trail that runs along Dorothea Dix campus in downtown Raleigh. Then we made those berries into ice cream on site! We showed you what edible berries (and more!) are growing in the area and guided you step by step into how to turn them into a delicious frozen concoction. Then… we chowed down! Ice cream was made into floats with homemade wild sodas and ice cream sandwiches made with “sassy snaps” sassafras cookies! See full gallery here. Piedmont Picnic Project offered an assortment of wild edibles for sale at the Pop-Up Market for the June Second Saturday. Passersby could see and taste what’s growing in Raleigh’s wild places! We offered tastes, answered questions, and provided free recipe cards on how to prepare these delicious wild edibles! Piedmont Picnic held their second Wild History walking tour and picnic of the spring! 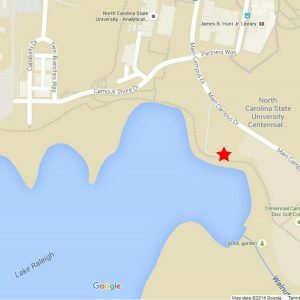 We had a big bunch of friendly, enthusiastic picnickers and a beautiful day along Lake Raleigh – one of our favorite spots so far along the Raleigh greenways during our 100 Miles in 100 Days series. See full gallery here. Along the walk, we learned about wild edibles growing right now in this location – wildflowers, green shoots, and even mulberries!The picnic was one of our more decadent affairs – because eating flowers of course lends itself to sweets! Wild weed salad, Trappist honey bread, and yogurt cheese were accompanied by honeysuckle sodas, wildflower jelly thumbprint cookies, and intoxicating wisteria ice cream! Oh, and did we mention we spotted our first ripe blackberries of the season!? A big THANK YOU to all who came out for the picnic and to everyone that helped to promote it beforehand! We are always grateful for and humbled by the overwhelming response we get to our wild endeavors! 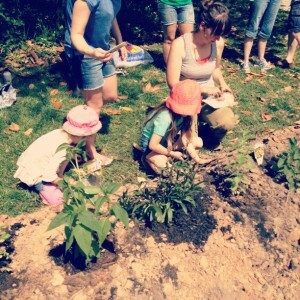 Piedmont Picnic joined Second Saturday to host a picnic provided by the bees while we created a picnic for the bees! We taught a group of enthusiastic gardeners-in-training how to install a pollinator garden at a personal residence and enjoyed a light picnic of wildflower & honey drinks and treats. See full gallery here. Special thanks to Papa Spuds and Pleasant Bee for providing all the honey for the event. 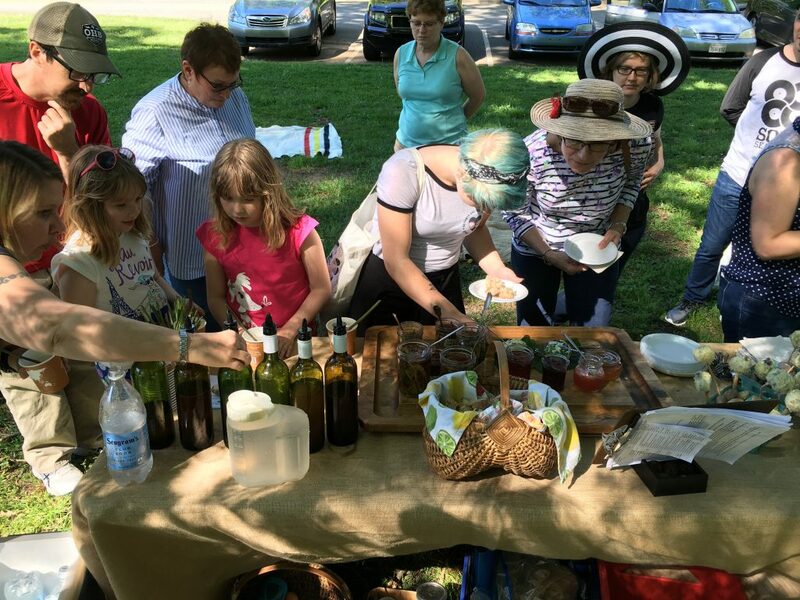 Piedmont Picnic Project had a great time teaching folks of all ages about foraging local weeds at our table and co-hosting the kids activities with Marbles Kids Museum at the Raleigh City Farm 3rd annual bEARTHday Celebration! We loved teaching kids about creative reuse, wild weeds, nature art, seed starting, and recycling/composting with the fun activities below! See full gallery HERE. 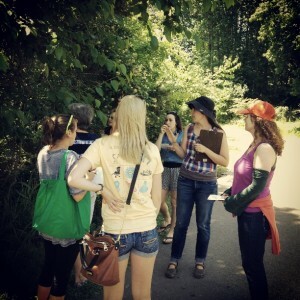 Piedmont Picnic hosted our first foraging tour of the spring! See full gallery HERE. We walked the Neuse River Trail of the Raleigh Greenways from Milburnie Park to Milburnie Damn (1.5 miles roundtrip). During the tour, we learned about the edible greens growing in the area as well as about the history of that particular place in Raleigh. 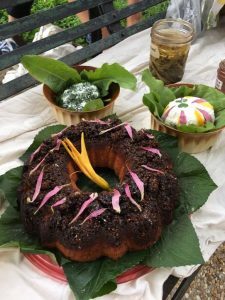 This beginner level foraging class included a review of foraging basics (including rules and etiquette) and provided a solid knowledge of a handful of practical plants to enjoy incorporating into your table. The walk was followed by a light picnic of local cheese, local bread, and hyper-local wild greens! Piedmont Picnic Project co-hosted a viewing party for the nation-wide event, TEDxManhattan- Changing the Way We Eat, with partners Activate14 and Community Food Lab. 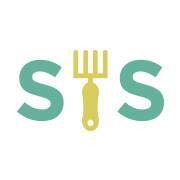 This was a one day annual event focused on sustainable food and farming. TEDTalk video and live speakers combined to spark deep discussion and connection in a small group. The event was free and open to the public. Food and drink from local organizations was provided. See tips on how to change the way you eat here. See full gallery HERE. 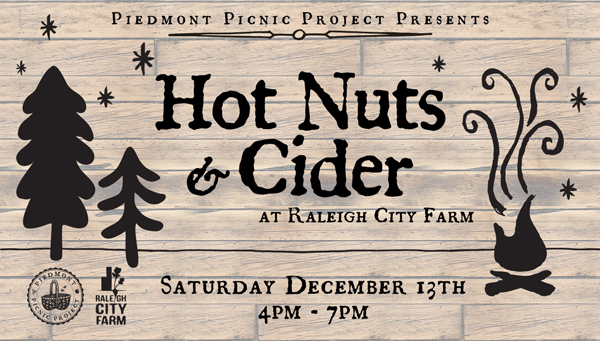 Piedmont Picnic Project hosts an evening around the fire down on the farm! See full gallery HERE. Cracking and toasting locally-foraged nuts on the fire. Fireside music provided by Sarah Osborne and friends. Did you know that there is free food all around you? Sometimes right under your feet; sometimes right above your head! Piedmont Picnic showed a few easy-to-forage fall nuts, greens, and fruits at the annual Cooke Street Carnival Fatt Legg Farm local food roundup. Participants had a chance to see, touch, smell, crack, and taste some locally-foraged and wild edibles! We provided recipe cards for ideas to get you started on what you can make with these foraged ingredients once you find them in your neighbor’s own backyard!There was a chance for you to share some of your own foraging hot-spots with us and your community by geo-locating edibles you’ve seen around your neighborhood! See full gallery HERE. Piedmont Picnic Project’s first picnic and launch party! We gathered our closest guinea pigs friends to test our theory that the things we eat and drink and otherwise consume can be local, sustainable, and historical without being pretentious. Good thing we love a challenge! See full gallery HERE. Make-your-own Cobbler Cocktails with bourbon, crushed ice, muddled herbs and fruit, and an amazing historical invention – the straw! Vintage Mayo-Making Demo – it’s so easy to make your own, especially with some cool vintage tools of the trade! Deconstructed Mayo Dipper Bar – mix and match deconstructed versions of some of your favorite mayo dishes like BLTs and potato salad. Information contained on this website is strictly and categorically intended as a reference. The providers of this website accept no liability for the use or misuse of information contained in this website. 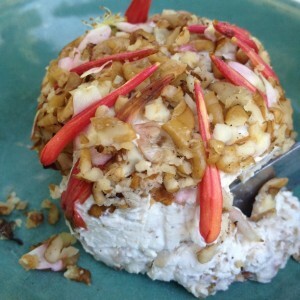 Cultured Dairy Fermentation Workshop @ Raleigh City Farm April 6th! Eat the Invasives March 30 at Prairie Ridge!